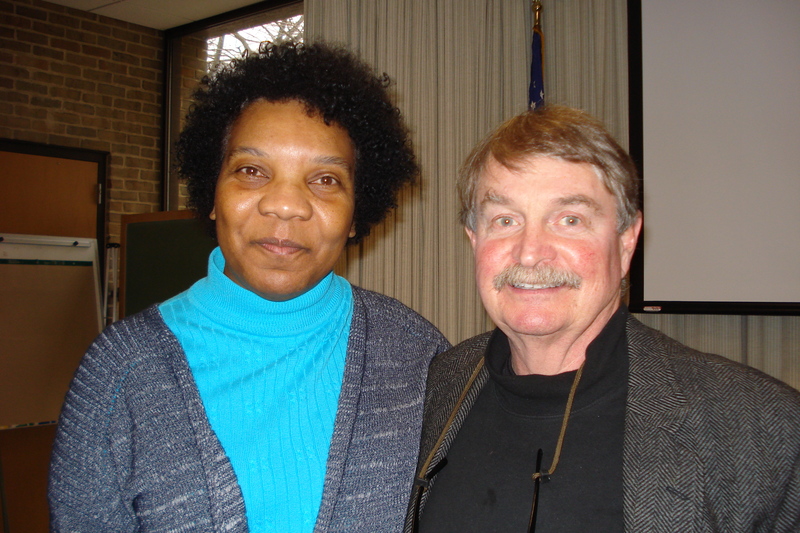 Mystery writer and criminal justice scholar Frankie Y. Bailey (L) poses with Denis Foley, scholar and author of Lemuel Smith: The Compulsion to Kill. The Upper Hudson Chapter of Sisters in Crime (The Mavens of Mayhem) will meet on Saturday, January 18 at 10:30 am at The Bethlehem Public Library (451 Delaware Ave., Delmar). Denis Foley, scholar, author, and Delmar resident, will speak about the genre of True Crime. HIs talk will include his research and writing about two Capital Region criminals: Lemuel Smith and “Legs” Diamond. Dr. Foley, a scholar of anthropology, archaeology, and criminal justice, served most recently as a public anthropologist with the Lewis Henry Morgan Institute at the SUNY Institute of Technology, curating many exhibits, such as the Friends Exhibit, about the tragic 2000 Colgate accident. He is the author of Lemuel Smith: The Compulsion to Kill and is currently working on a book about “Legs “ Diamond.